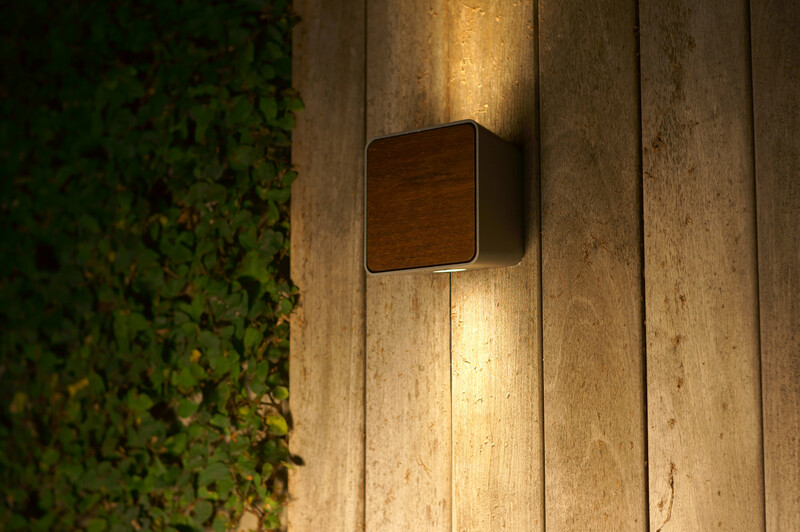 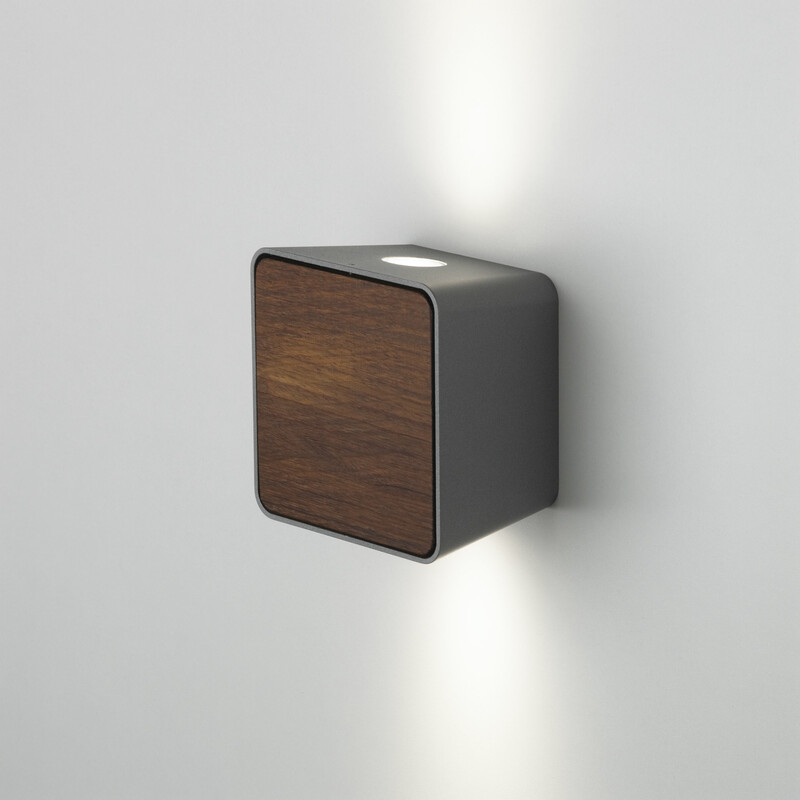 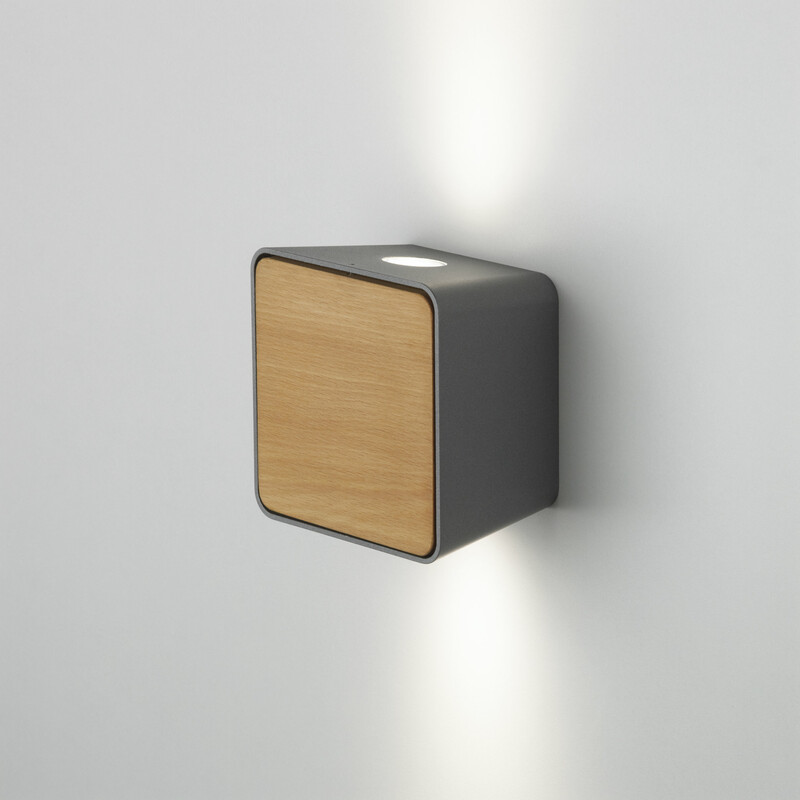 Sober, architectural, practical…The Lab is an outdoor wall lamp that incorporates LED technology. 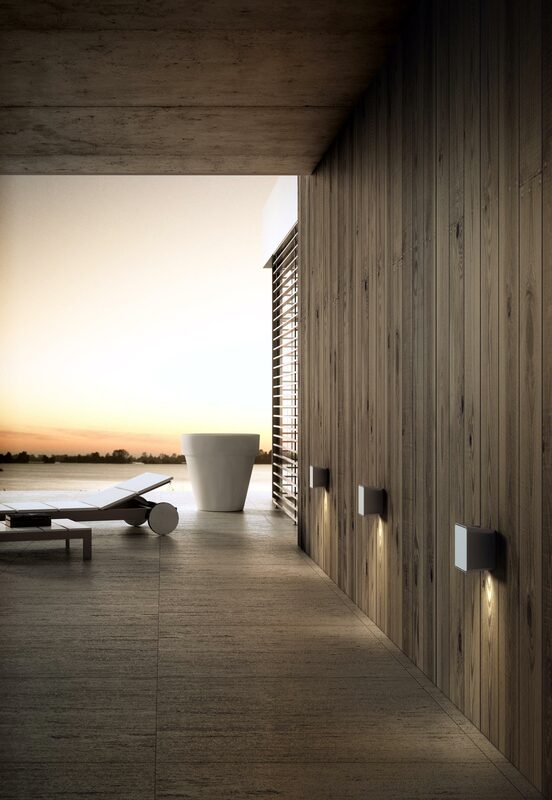 A variable frontlet—made of stone-like, iroko wood, or either black, grey, or white aluminium—allows it to alternately blend in to or stand out from its surroundings, making it an extremely versatile fixture ideal for a variety of applications. 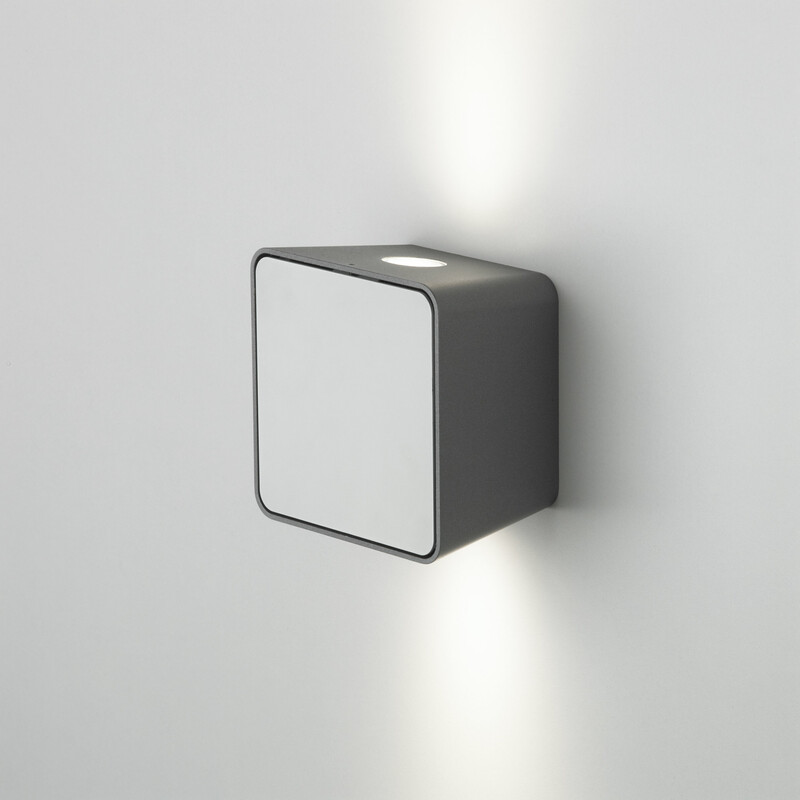 In addition, custom signage can be integrated into the frontlet, in accordance with the style of graphic design in use in a given public area.